Today was our fourth and final day – for a while, at The International Institute for Anti Aging (iiaa). 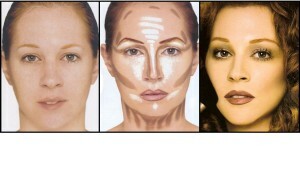 latest highlighting and shading trend known as contouring make-up. This is by far not a new technique, but celebrities have recently made it a must have when it comes to photographic and occasion make up. You can now learn more about this ‘on trend’ technique by booking one of our popular make up services. Or simply pop in and we’ll be happy to help.